Download Samsung Galaxy S7 G9300 G9308 G930A G930AZ G930F G930FD G930K G930L G930P G930R4 G930R6 G930R7 G930S G930T G930T1 G930U G930V G930VL G930W8 Combination file with Security Patch U1, U2, U3, U4. (Factory Binary level) S1, S2, S3, S4. We have Large Collection of Samsung combination files All Combination Firmware ROMs are free to download. In case you didn’t find your device supporting combination file then you can Remove or Bypass Google Account FRP G9300 G9308 G930A G930AZ G930F G930FD G930K G930L G930P G930R4 G930R6 G930R7 G930S G930T G930T1 G930U G930V G930VL G930W8 Without Combination file. Check Samsung G9300 Combination files in the list below. In case didn’t find Galaxy G9300 combination ROM you can request it in comment section.. Check Samsung G9308 Combination files in the list below. In case didn’t find Galaxy G9308 combination ROM you can request it in comment section.. Check Samsung G930A Combination files in the list below. In case didn’t find Galaxy G930A combination ROM you can request it in comment section.. Check Samsung G930AZ Combination files in the list below. 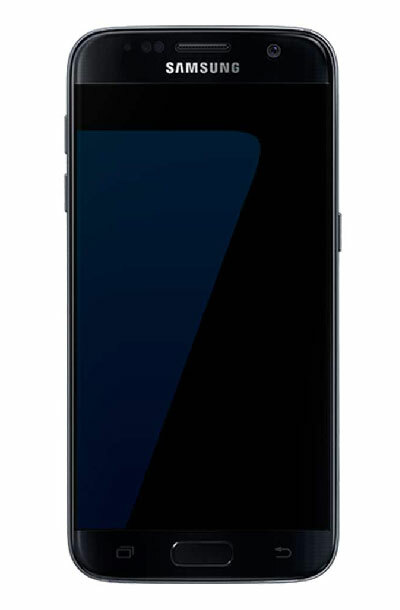 In case didn’t find Galaxy G930AZ combination ROM you can request it in comment section.. Check Samsung G930F Combination files in the list below. In case didn’t find Galaxy G930F combination ROM you can request it in comment section.. Check Samsung G930FD Combination files in the list below. In case didn’t find Galaxy G930FD combination ROM you can request it in comment section.. Check Samsung G930K Combination files in the list below. In case didn’t find Galaxy G930K combination ROM you can request it in comment section.. Check Samsung G930L Combination files in the list below. In case didn’t find Galaxy G930L combination ROM you can request it in comment section.. Check Samsung G930P Combination files in the list below. In case didn’t find Galaxy G930P combination ROM you can request it in comment section.. Check Samsung G930R4 Combination files in the list below. In case didn’t find Galaxy G930R4 combination ROM you can request it in comment section.. Check Samsung G930R6 Combination files in the list below. In case didn’t find Galaxy G930R6 combination ROM you can request it in comment section.. Check Samsung G930R7 Combination files in the list below. In case didn’t find Galaxy G930R7 combination ROM you can request it in comment section.. Check Samsung G930S Combination files in the list below. In case didn’t find Galaxy G930S combination ROM you can request it in comment section.. Check Samsung G930T Combination files in the list below. In case didn’t find Galaxy G930T combination ROM you can request it in comment section.. Check Samsung G930T1 Combination files in the list below. In case didn’t find Galaxy G930T1 combination ROM you can request it in comment section.. Check Samsung G930U Combination files in the list below. In case didn’t find Galaxy G930U combination ROM you can request it in comment section.. Check Samsung G930V Combination files in the list below. In case didn’t find Galaxy G930V combination ROM you can request it in comment section.. Check Samsung G930VL Combination files in the list below. In case didn’t find Galaxy G930VL combination ROM you can request it in comment section.. Check Samsung G930W8 Combination files in the list below. In case didn’t find Galaxy G930W8 combination ROM you can request it in comment section..
We can Flash Samsung Galaxy S7 with combination file by using Samsung Odin. We have provided a complete step by step process to flash combination firmware. This is mostly used when the Samsung Galaxy device is locked by FRP or to check complete hardware. If you want to Bypass Samsung Galaxy S7 Google Account or FRP lock with combination file or without combination Firmware. Just follow the step which we have given in the Article. Samsung Galaxy S7 Flash Official Stock ROM Firmware to make your device in normal condition. is there a combination file for 930w8vls5crj2 ? Can I please get G930T1UVS8CRL1 combo firmware? any chance i could get the combination file for G930VVRS4APH1	much appreciated!! I will provide it soon. thanks for the nice question. G930W8VLS5CRJ2_OYA5CRJ2_V8.0.0_firmware if i could get this file by chance it would be greatly appreciated. Bueos dias. Podria proporcionar este archivo de convination .